Avian influenza viruses circulating in birds have caused outbreaks of infection in poultry and humans, thereby threatening public health. Recently, a highly pathogenic avian influenza (HPAI) virus (H5N8) of clade 2.3.4.4 emerged in Korea and other countries and caused multiple outbreaks in domestic and wild birds, with concerns for human infection. To combat HPAI viral infections, novel vaccines are likely to be the most effective approach. Therefore, in this study, we generated H5N8 vaccine candidate viruses based on a Korean isolate (A/broiler duck/Korea/Buan2/2014). The vaccine candidate viruses were 2:6 reassortants expressing the two surface glycoproteins of A/broiler duck/Korea/Buan2/2014 on an A/Puerto Rico/8/34 (PR8) backbone generated by using an eight-plasmid-based reverse genetics system with or without replacement of the multi-basic amino acid cleavage motif (MBCM, a crucial pathogenic factor in HPAI virus) with a bi-basic amino acid cleavage motif (BBCM) in their HA. 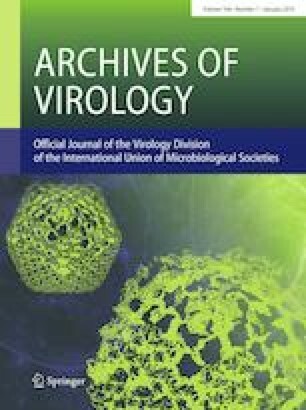 An H5N8 vaccine candidate virus containing the BBCM showed attenuated pathogenesis in embryonated eggs and exhibited less virulence in the infected mice compared with the wild H5N8 virus containing an MBCM. Vaccination with an inactivated preparation of the vaccine candidate virus protected mice from lethal H5N8 viral challenge. This is the first report of the development and evaluation of H5N8 vaccine strains (with an MBCM or BBCM) of HA clade 2.3.4.4 as vaccine candidates. Our findings suggest that H5N8 strains with a BBCM instead of an MBCM might be considered for H5N8 vaccine seed virus development or as a reference vaccine against H5N8 viral strains. Mi-Seon Lee, Eun Young Jang contributed equally to this work. The two Korean H5N8 isolates (A/broiler duck/Korea/Buan2/ 2014 and A/breeder duck/Korea/Gochang1/2014) were kindly provided by the Avian Disease Division of the Animal and Plant Quarantine Agency (QIA) of South Korea. The vector plasmid pHW2000 was kindly provided by Robert Webster, St. Jude Children’s Research Hospital, Memphis, TN, USA. This research was supported by a fund (grant number 2014-NI43003-00) by Research of Korea Centers for Disease Control and Prevention. Animal experiments were authorized by the Institutional Animal Care and Use Committee of the Korea Centers for Disease Prevention and Control (approved numbers: KCDC-168-14-2A) and all experiments were performed according to the guidelines of this committee.